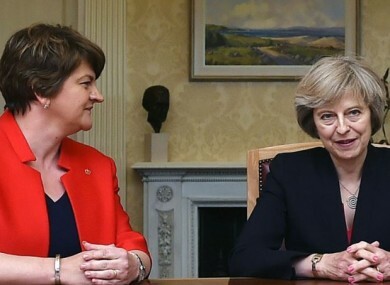 THERESA MAY AND Arlene Foster are set to meet today to discuss a deal that will enable the Conservatives to govern in the UK. May’s Tories lost their majority in last week’s snap general election, leading to a hung parliament, and the Conservatives are now reliant on Foster’s Democratic Unionist Party to make up the numbers. Many people have raised concerns about how the agreement would work, given the DUP’s stance on a number of social issues and current tensions in Northern Ireland. DUP supporters are reportedly urging the party to ask May to allow loyalist marches go through Catholic areas as part of the deal, with some people fearing this could damage or even collapse the peace process. We want to know: Are you worried about how the Tory-DUP deal could affect the peace process? Email “Poll: Are you worried about how the Tory-DUP deal could affect the peace process?”. Feedback on “Poll: Are you worried about how the Tory-DUP deal could affect the peace process?”.